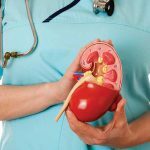 If you’ve ever experienced a urinary tract infection (UTI) then you’ll know how painful this condition can become. From the very outset, the painful urination and burning sensation can be overwhelming. If you are suffering, or know someone who is, then try these home remedies for UTI to obtain some quick relief. First of all, you need to make sure that you urinate frequently. People with urinary tract infections often avoid urinating because of the pain associated with it. However, it’s important that you drink plenty of fluids and then flush them from your body. Even when you are not experiencing an infection, you should use the restroom often. Avoiding urination can exacerbate the symptoms associated with infections. Drinking water can help flush away the bacteria that’s causing your infection, according to the National Institute of Diabetes and Digestive and Kidney Diseases (NIDDK). How much should you drink depends on your size. Aim for half of your body weight in ounces of water, up to 80 ounces (oz) a day, says Holly Lucille, ND, RN, a naturopathic doctor in private pract ice and author of Creating and Maintaining Balance: A Woman’s Guide to Safe, Natural Hormone Health. 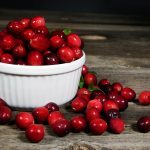 Animal studies show that cranberry products appear to work by inhibiting the growth and colonization of bacteria that cause infection, including E. coli, the most common bacteria seen in urinary tract infections. Drink pure cranberry juice to help balance your pH levels. Cranberries have a wide range of powerful infection fighting agents that do wonders for your body. Purchase pure, unsweetened cranberry juice. Preferably, select a brand that does not include other juices. 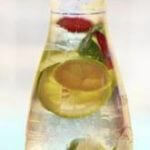 Add half a cup to two cups of water and drink. 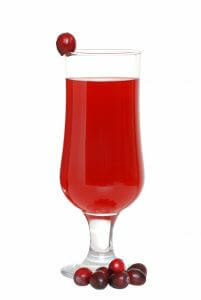 You can weaken the dilution or even drink it straight if you don’t mind the strong flavor associated with it. As an alternative, you can eat a cup or two of fresh cranberries each day. 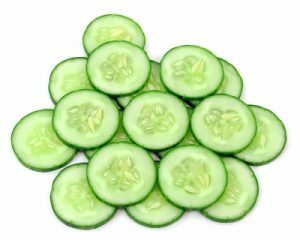 Eating cucumbers is also a healthy treatment method that is easy to include in your daily activities. These veggies are high in water and will help to keep you hydrated and to flush your system with vitamin-rich hydration. Celery seeds are a popular flavor agent that brings some great health benefits to the table. Among the benefits that have been reported with celery seeds are a reduction in UTI symptoms. 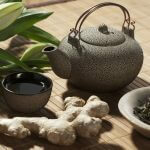 Home remedies for UTI includes taking good care of your health and preventing recurrences. Make sure that you wear clean cotton underwear. Other materials can hold moisture against your body, creating an ideal environment for bacteria to breed. Vitamin C is not only a great all-rounder, but when taken in large doses, will make your urine more acidic and this in turn, will make it difficult for the bacteria that is causing your infection, to thrive. So consume plenty of Vitamin C rich foods and drink and add a supplement to go with them. If you have a wheat bag or similar, microwave it and apply to the pubic area. A similar result can be achieve with a hot water bottle. But be careful to limit the application to about 15 minutes at a time and avoid burning yourself. Because of the development of bacterial resistance, one of the most promising home remedies for UTI, especially recurring UTIs, is probiotics. Probiotics help support the human body’s normal flora that serve as a line of defense. Eat a probiotic (fermented) food each day and get plenty of rest as well. Some of the healthiest fermented foods include kefir, kimchi, probiotic yogurt, raw cheese, sauerkraut and kombucha. A 2012 study evaluated the antibacterial activity of oregano oil. Researchers found that oregano was active against all of the clinical strains of bacteria that were tested, and it successfully inhibited the growth of E. coli, the bacteria most commonly seen in UTIs. In fact, oregano oil benefits may be superior to prescription antibiotics because oregano doesn’t cause antibiotic resistance and it has no harmful side effects. When you shower, avoid using products that contain fragrances or other irritants as these can exacerbate the symptoms associated with UTIs. Make sure you are completely dry before getting dressed. Either use your towel to blot the skin dry or use a hair dryer on the cool setting. 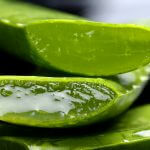 Avoid foods that will irritate your condition. This includes alcohol, caffeine and anything with carbonation. Although many citrus fruits will increase the acidity of your urine and should be avoided, you can add freshly squeezed lemon water to your morning routine for a surprisingly alkaline boost to your system. This will make your urinary tract less hospitable to bacteria. Keep a diet rich in fruits and vegetables to provide your body with the nutrients necessary for optimal health. Also, eat plenty of whole grains and generally take care of your health. When you exercise regularly and consume healthy foods, it is easier for your body to fight off a wide range of infections. You can enjoy life again soon! Get your infection under control and regain your health. Then, stay on top of the healthy choices you need to feel good every single day!